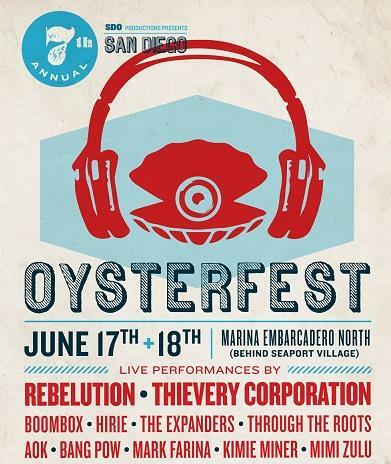 SanDiegoVille: San Diego OysterFest Returns For 2 Days This June 17-18 | Enter To Win A Pair Of Backstage Passes! 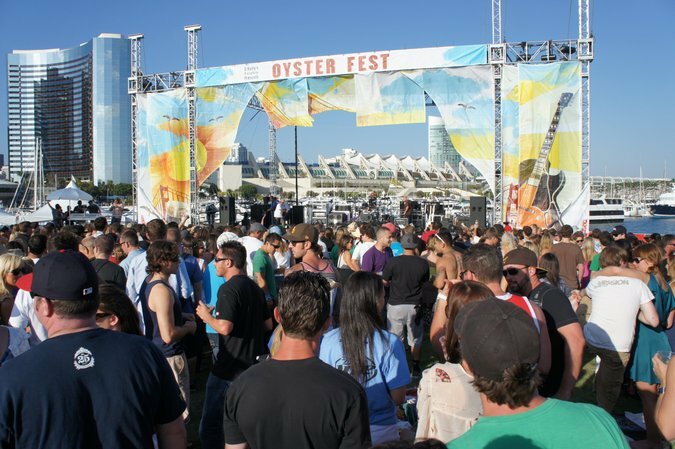 San Diego OysterFest Returns For 2 Days This June 17-18 | Enter To Win A Pair Of Backstage Passes! The 7th Annual San Diego OysterFest returns to the picturesque Marina Embarcadero North by Seaport Village for 2 days for the first time ever. Taking place Friday, June 17 & Saturday, June 18, OysterFest is filled with the three essentials for an epic time - booze, music, and food. This year, the festival offers live bands including headliners Thievery Corporation on Friday and Rebelution on Saturday, as well as craft beer, wine and cocktails, plenty of fresh oysters and food offerings from a variety of eateries. This event spotlights some up and coming bands and entertainers in a festival atmosphere on the beautiful San Diego Bay. We are raffling a pair of backstage passes good for either Friday OR Saturday, so read on for all the details and be sure to enter! Musical performances for this year's OysterFest include Thievery Corporation, Boombox, Mark Farina, Bang Pow, Mimi Zulu, and Johhny Maxwell on Friday, June 17, taking place from 2-10pm. On Saturday, June 18, from noon to 10pm, the lineup includes Rebelution, Through The Roots, Hirie, The Expanders, Aok, and Kimie Miner. Presented by SDO Productions, this year’s Oysterfest is sure to be an epic party, as always. Oysters from British Columbia, along with mollusks from the west coast down to Mexico will be available, as well as offerings from some of San Diego's favorite restaurants. Beer, wine, spirits and cocktails will also be served throughout the event. General admission tickets are $39 with reserved seat tickets costing $75. Two day tickets and backstage tables are also available. Food and beverages are not included. All ticket options can be purchased online, so get ‘em while they last. For more information and to purchase tickets, visit oysterfestsd.com.